The least popular tasks for both sexes were ironing and toilet cleaning. Women devote well over the equivalent of a working day each week to household chores – double the amount undertaken by men. 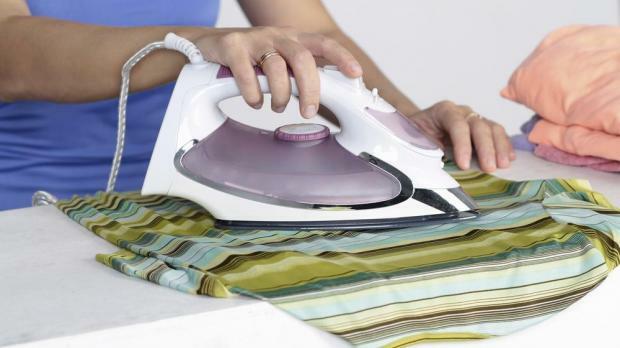 A poll for BBC Radio 4’s Woman’s Hour suggests that women spend an average of 11-and-a-half hours doing housework by their own estimation, while men complete just six. The survey, commissioned to launch a week of special programmes to launch the Woman’s Hour Chore Calculator, found the most popular bit of housework was cooking. The vast majority of women said their chief responsibilities included changing sheets and cleaning the toilets, while men were mainly in charge of bins and DIY Jobs. The least popular tasks for both sexes were loo cleaning and ironing. Some 86 per cent of women polled said they were mainly responsible for changing the bedsheets, while 83 per cent said they were responsible for cleaning the toilet. Some 80 per cent of men said they were mainly responsible for taking out the bins, with 78 per cent saying they did the DIY. Adam Ludlow of polling firm ComRes, which undertook the survey, said: “These results indicate there is a clear divide between the sexes when it comes to housework. The survey also found that more than a quarter (27 per cent) of cohabiting couples argued about household chores several a month, and most often among younger couples. The programme is launching its Chore Wars calculator online to enable listeners to calculate the division of responsibilities at home with the aid of a quiz at bbc.co.uk/womanshour. Similar findings were revealed in a survey of almost 1,000 users of the Mumsnet website. Changing lightbulbs, taking the bins out and DIY were the only three of 54 common domestic tasks done in more than half of cases by men, with 15 roughly shared and the rest chiefly carried out by women. Most often done by female partners were organising playdates, health appointments, childcare and birthday parties – as well as cleaning and laundry. Parents evenings, school plays and bedtime stories are most often seen as shared activities. Two-thirds of women said they did not want to change the balance either because it suited them or they didn’t trust men to do the job properly. Justine Roberts, CEO of Mumsnet said: “One in three working mums is the main family wage earner, a rise of one million over the last 18 years.